On a chilly night back in February, my husband and I had the evening to ourselves without of clue of how to spend it, errr, without of clue of where to eat, I should say. 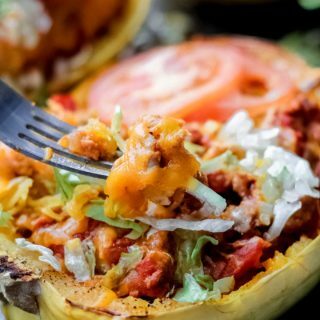 Date nights are pretty rare around here, but I keep a list of new and trendy restaurants to try in the event that we are able to get out for a nice dinner sans kids. Since it was a cold winter night, take-out on the couch with a movie sounded wonderful, but my lengthy list of restaurants was calling to me. We decided to try a newish Jamaican restaurant called Pimento Jamaican Kitchen in Minneapolis because we figured some spicy, authentic Jamaican jerk in the middle of winter would do us and our sinuses some good. After the 30 minute drive into the city, and 15 minutes driving up and down the streets for a parking spot, arguing over our parallel parking abilities (“Seriously Dan? I could’ve parked my MINIVAN in that spot.”), we were so hangry. These Instant Pot Jerk Pork Bowls are my recreation of that unforgettable meal, and they turned out beautifully with the help of the Instant Pot, which gave the meat that tender, pulled pork texture in less time. But before the meat is even in the pot, you need to work on the jerk marinade, which consists of a unique blend of basic spices, green onions, some condiment staples, and super hot peppers. If this initially sounds intimidating, don’t worry. The marinade comes together quickly, and you can easily find all the ingredients at the grocery store. 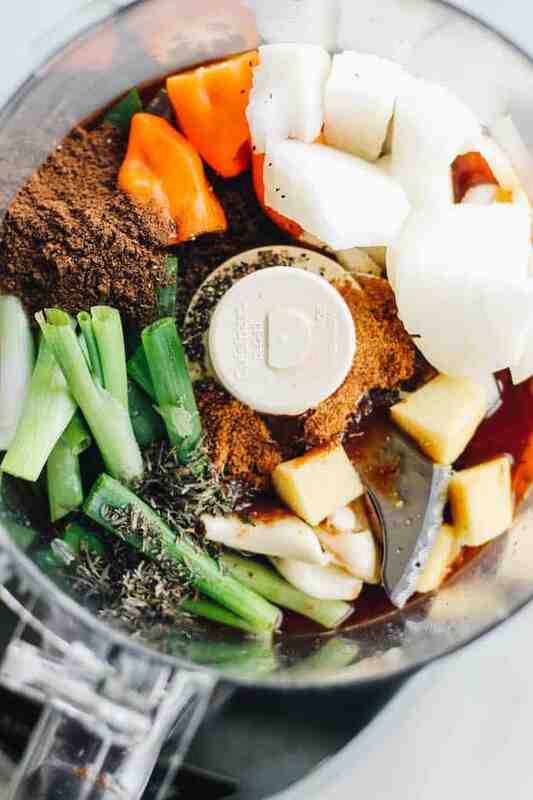 A quick puree of everything in the food processor will give you a brown-looking marinade that will look less than desirable, but it will smell lovely. Add the meat to a plastic bag, pour in the marinade, and let those flavors marry together for at least 8 hours in the fridge. 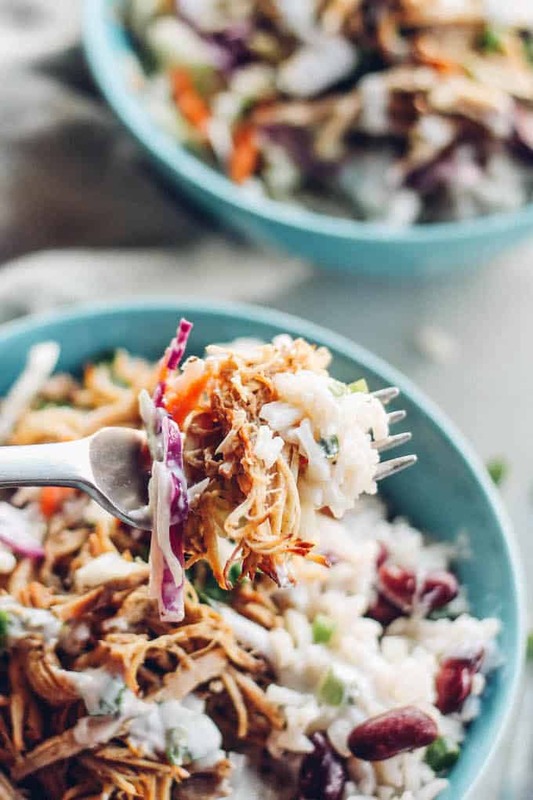 About 1-2 hours before dinner time, pop the pork in the Instant Pot and while it’s cooking, prepare the other two components of the recipe: the rice and peas and coleslaw. See the recipe notes for slow cooker instructions. A few notes on the rice and peas. The peas in this dish are actually red kidney beans. I’m not sure why, but it’s the traditional Jamaican way and I love it! Coconut milk from the can is the prime cooking liquid for the rice and peas. 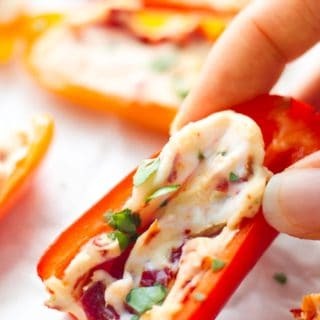 It gives the dish a smooth and creamy finish and major flavor. Everything for the rice and peas, including the spices, onions, and garlic, will cook in the same pot. For the coleslaw, I whisked the dressing ingredients in the bottom of a large salad bowl. Then I added the cabbage mix and tossed everything together. Coleslaw done! Onto the best part, bowl assembly! 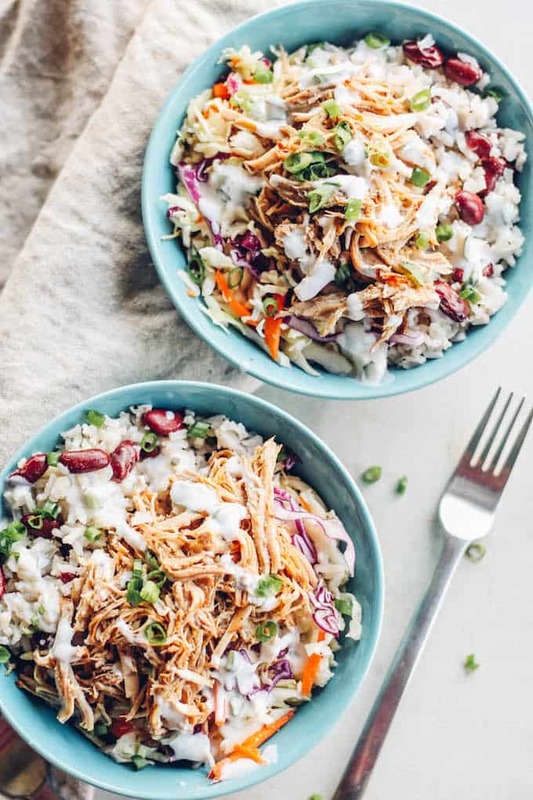 When I made these at home, I wanted to keep my bowl on the low-carb side (reason why I skipped the sweet plantains altogether), so I added a little bit of rice and peas and went heavy on the coleslaw and pork. But you can customize these bowls however you’d like. 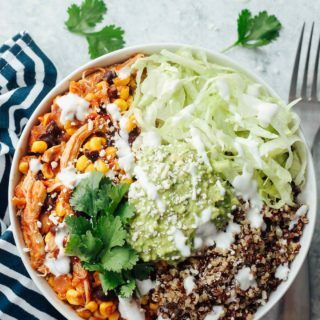 A little bit of ranch dressing, your favorite BBQ sauce, and/or some sriracha over the top are extremely necessary additions to these bowls. Pro tip: don’t skip the sauce! It brings all the flavors together. 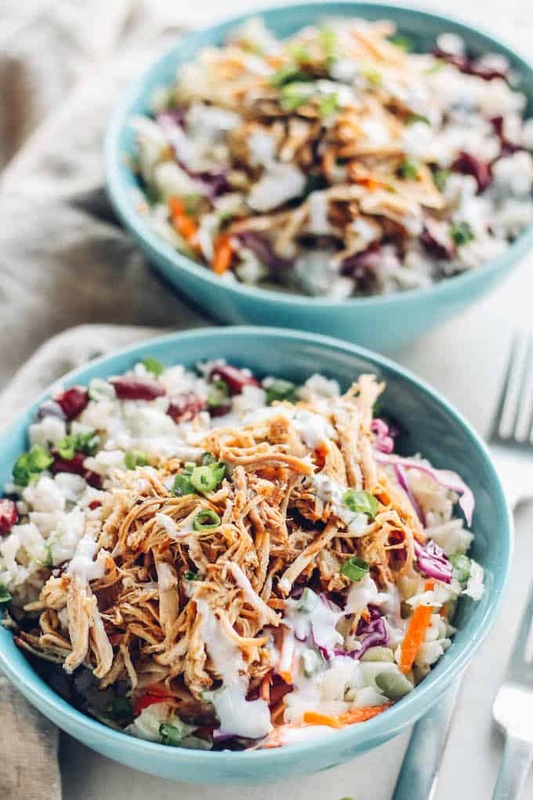 Even though I had my first taste of these Jerk Pork Coleslaw Bowls in the winter, they are actually an ideal summer meal, especially for the weekends when you want a simple and relaxing dinner that doesn’t involve the grill. 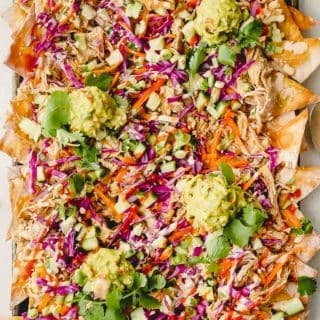 This recipe is also an nice option for entertaining! 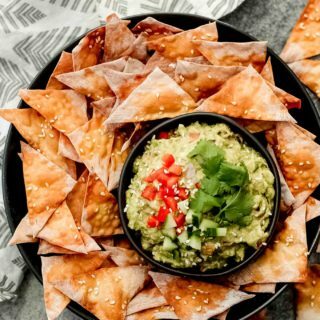 If you really want to feel the Jamaican vibes, pair this recipe with an ice cold Red Stripe or fruity cocktail (like a Dirty Banana!). And I should also add that the leftovers are nothing short of amazing. Throw it all in a tortilla for tacos or burritos, make a salad, or put it all in some romaine leaves for lettuce wraps. This is the recipe that keeps on giving! Cook the pork: Place all the pork ingredients for except the pork in a food processor. Pulse until the mixture is mostly smooth. Place the pork roast in a large sealable plastic bag. Pour the marinade over the pork and seal the bag. Toss the marinade and pork together in the bag until the pork is well-coated. Place the bag in the refrigerator to marinate overnight (at least 8 hours). Once the pork has marinated, place the pork and excess marinade from the bag into the Instant Pot. Cook on the manual setting for 45 minutes. 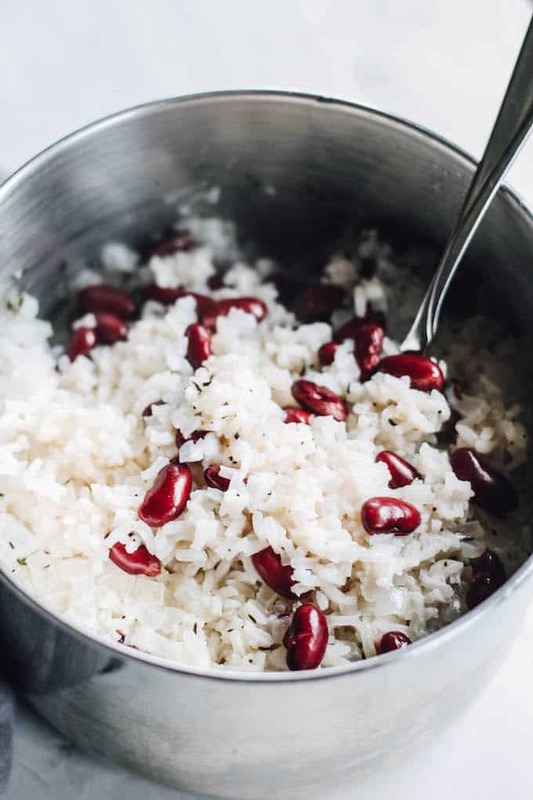 Make the rice and peas: While the pork is cooking, make the rice and peas. Place the coconut milk, water, beans, onion, garlic, thyme, salt and pepper in a large saucepan. Bring to a boil. Add in the rice, reduce to a simmer and cover the pan. Cook for 15-20 minutes until the liquid is absorbed and the rice is cooked through. Fluff and stir with a fork. Make the Coleslaw: While the rice and peas are cooking, Whisk together the olive oil, vinegar, mustard, garlic, salt and pepper. Pour over the coleslaw mix and add in the green onions. Stir to combine. 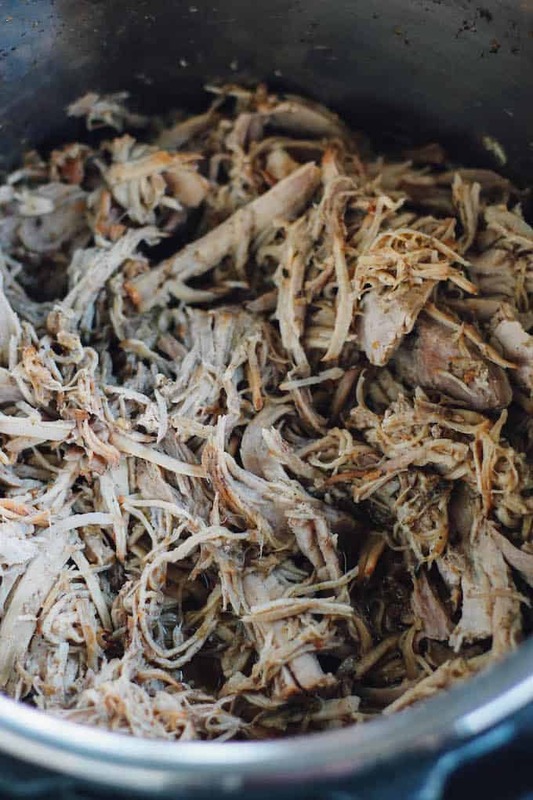 Assemble the bowls: Shred the pork in the Instant Pot. Place a portion of rice and peas and the coleslaw into each bowl. Top with the pulled pork. 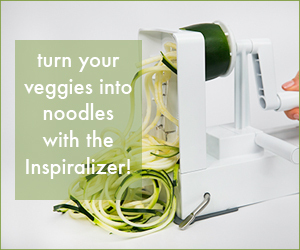 Sprinkle with chopped scallions and drizzle ranch dressing and/or desired sauce over the top. No Instant Pot? 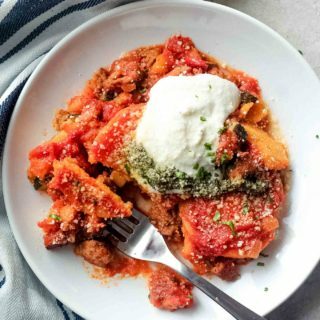 You can easily adapt this recipe for the slow cooker. After marinating, cook the pork on high for 6-8 hours or on low for 8-10 hours.